Because life's an inspiration. 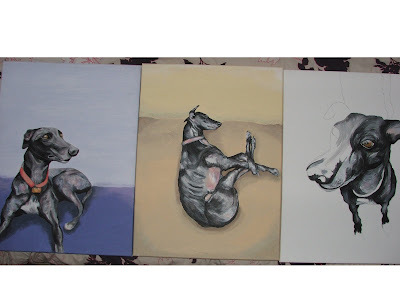 : Greyhound Triptych. Colours for the background that I am considering are a mint green, or another variation on purple/blue to match the first. In the end I decided on a mint green for the background, so my pieces can complement each other as a three or be displayed as stand alone pieces. These are really great Heather! Very strong.You have a natural gift for composition. 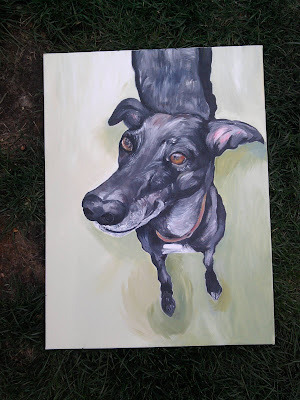 I too am a greyhound owner and just love using them in my work as you have seen.Your pup is beautiful too! If I was going to show these three pieces as a triptych and wanted to keep the continuity I would go with the purple/blue. If they were to be shown separately I would try the mint green. Thank you for visiting the "photosphera" and chose the blog, very happy to reciprocate with your lovely area. 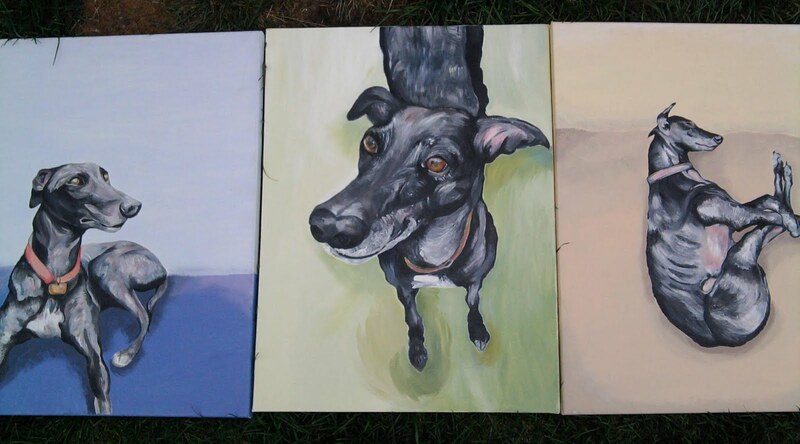 What lovely paintings. I wish I were only a smidge as talented. Thanks for stopping by my blog. I plan on following as soon as I can figure out my follower issues! 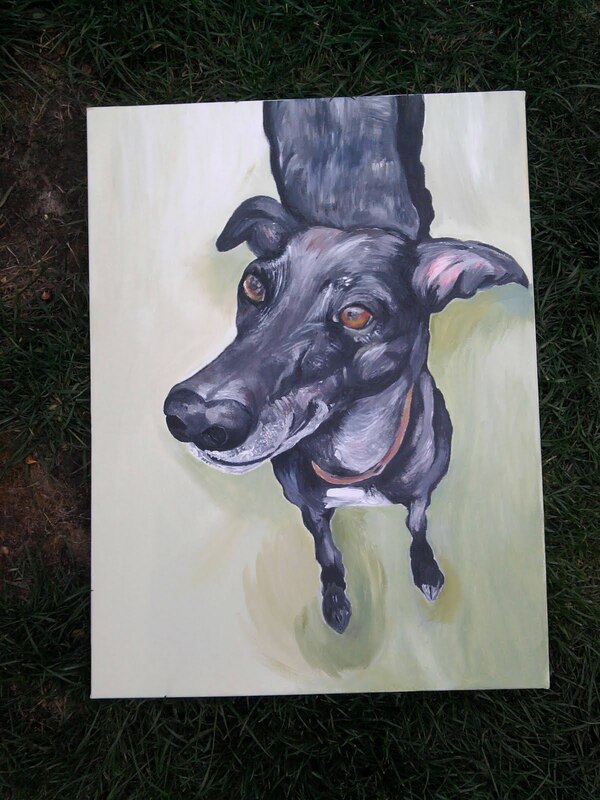 Your paintings are lovely Heather...and your dog is beautiful....quite like one of ours (we have two).